Summary: Taking a look at your business model and revamping it may be the solution to any financial woes you may be harboring. How much time has passed since you’ve taken a good look at every aspect of your car rental business? 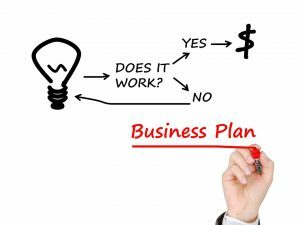 You might be thinking back to when you first started drafting your business plan. Well, how is it doing now? Are your goals clear? Are you working towards these goals, and actually improving along the way? Is it where you want it to be? By asking yourself these questions, you’ll stay involved in every angle of your rental business. You have to be obsessed with crunching numbers and stay focused on the end goal. How well you perform these things will correlate to how well your business runs in the future. Take the time to look at the vehicles you’re offering, the customers you’re doing business with, and the market. Consider all of the possibilities and find ways to challenge your business model so you can exceed what you originally planned. After all, every business wants to thrive and grow into a successful company. Perhaps you could extend a service that provides a car lease to Abu Dhabi, Asia or other areas in the world that are high in tourism. Or, you could offer a variety of different packages that allow customers to take advantage of reasonable prices. The opportunities are endless. While you might be obsessed with making the most money that you can, you have to let your customer base dictate how you make the next business move. For instance, say you have a customer claiming that they found a lower rate at Monte Carlo Rent a Car, LLC and wants to know if you can price match it. There are two options you have here. You can either tell the customer off and lose business, or you can work with him and come to a mutually beneficial agreement that still brings in some money to your business. Little choices like this tend to stray from the ordinary business model and rely on instinct.